Your countertops are an important part of both kitchen and bathroom design. Sometimes a homeowner will choose the same countertop for both, keeping the design elements flowing. 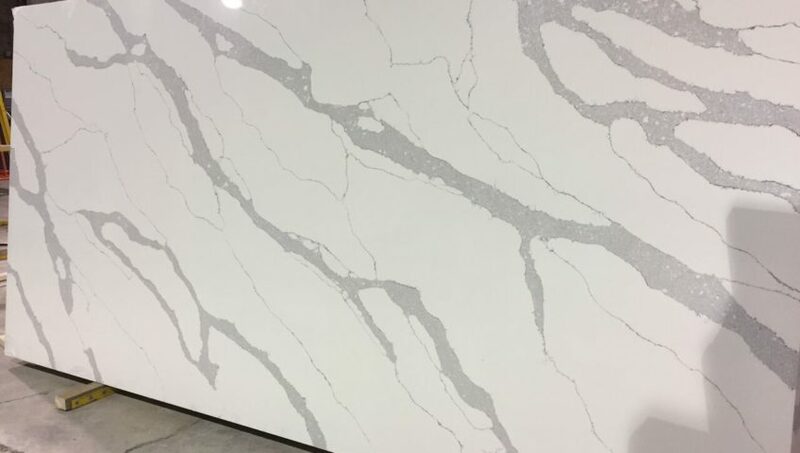 Although there are a variety of materials to choose from, quartz comes out head and shoulder above the rest for many reasons. If you weren’t aware, quartz is a mineral found in the earth’s crust and it’s the second most abundant mineral found there. Quartz mines are found the world over, and since it’s found deep underground, it’s typically extracted using a combination of explosives and heavy equipment. Once mined, the quartz is distributed. For use in countertops, the quartz is ground down into millions of fine pieces, similar to the size of sand. It’s then mixed with resin and poured into slabs where it’s baked and cooled, and hardens into the most durable material for countertops you can buy. Even after being diluted with resin, your countertop will be at least 97% quartz material. These slabs require no polishing or finishing work afterwards – they come out of the special ovens perfectly smooth and glossy. What do you want in a countertop? What features are important when making the choice for your material? One of the first choices you’ll probably think about is the look of the material. With quartz, you’re certainly not limited in any way no matter if you like light or dark, neutral or some bold choice of colour. Quartz comes in every colour under the sun, and the colour will stay consistent throughout its use, unlike granite, which, because the colour is often dyed into it, can fade and alter throughout the slab. You’ll want to know that the colour you’ve purchased and had installed is the same colour you can enjoy years down the road. Quartz is non-porous, which is critical when it comes to cleanliness and it’s resistance to bacteria and viruses. This also means that quartz will not stain as easily as some other countertop materials. In areas of your home like your kitchen, it’s key to be able to keep surfaces clean so that you avoid making your family or visiting guests sick. Being able to wipe a counter clean and know that the disinfectant properties have removed all of the germs is important. Quartz doesn’t give bacteria or viruses the chance to take up residence in the small cracks, pits and crevices that other countertops allow. Another aspect that you’ll want to tackle when it comes to your countertops is how durable the material is. Your kitchen is a real workhorse, and most of the action happens right on the counters; they need to stand up to dishes being piled up, wetness from cleaning or spills, and appliances that often shake or bang against them. You know how tough it can be to keep things in good condition when you have a growing family; kids can really put your countertops to the test. Your bathrooms also pack a lot of activity into a small room. The countertops need to stand up to repeated use, and some of your grooming tools won’t be friendly to some countertop materials. Quartz is incredibly durable, but it won’t chip or crack as easily as some other materials. It’s also one of the best materials out there for scratch resistance. The combination of the stone with the resin creates an incredibly hard surface that will stand the test of time even in the hardest working kitchens. Because quartz is non-porous, it doesn’t need the same type of maintenance that granite or marble require. Both of these materials need to be sealed every so often, so that they can resist stains and bacteria. You won’t have to do a thing with quartz countertop, and it won’t take any special cleaners to keep it disinfected. Use your favourite household cleaner or just plain soap and water, wipe it down and you’ve done all the work you’ll ever need to. The versatility and durability of quartz makes it the ideal choice when searching for countertop material. The fact that it will last a long time and is also stunningly beautiful means that it can give that wow factor to your kitchens and bathrooms. This article was written by Katie Mills from Vidalux. Katie has been writing articles for over 10 years and is a commanding voice in the health and fitness community with her articles high in demand. A joint venture between two men who shares the same vision of creating a one-stop shop for all kitchen and bath renovating needs. Catering from average to the most exquisite taste with reasonable pricing and top notch services. With several years in the industry, NUVO Cabinets and Stones Ltd.,sets the benchmark for quality cabinety in Alberta. The NUVO Team redefines professionalism and dependability and demand an unsurpassed quality of work from themselves and their team. Nuvo has grown with an ever expanding foundation of satisfied customers that value their trustworthiness, honesty, and reliability. Give us a call! Find out why so many are making NUVO Cabinets and Stones their #1 choice! Nuvo Cabinets & Stones Ltd.
1816A - 25th Avenue NE.